This drawing shows with some accuracy the bones, muscles and tendons of a bear’s lower leg and foot, with the big toe, claw raised, away from the viewer. 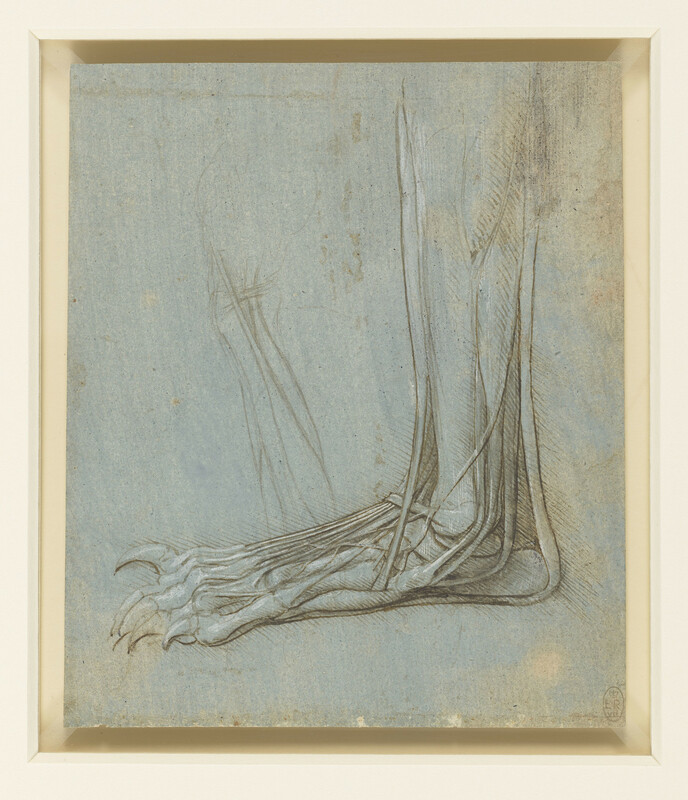 Unlike many of his other anatomical studies at this time, which rely on traditional beliefs, Leonardo had no preconceptions about how a bear’s foot should be constructed, and so drew his subject with clear-sighted objectivity. During the latter part of the 1480s, Leonardo began to study anatomy, with the aim of making his paintings more ‘realistic’. But at this time he was unable to obtain human material to dissect, so here he dissected the left hind leg of a bear, an animal that walks with its feet flat on the ground, like a human.